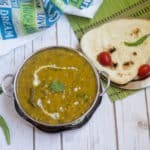 I have already posted a couple of traditional Gujarati recipes on my blog. It’s been a long time since I posted any new recipe from this favorite cuisine of mine. 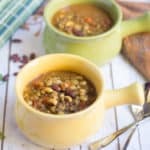 So after posting back to back instant pot recipes, I decided to post this traditional recipe. :-) Can you believe that this can be prepared in less than 25 minutes? Isn’t that great, especially during weekdays? 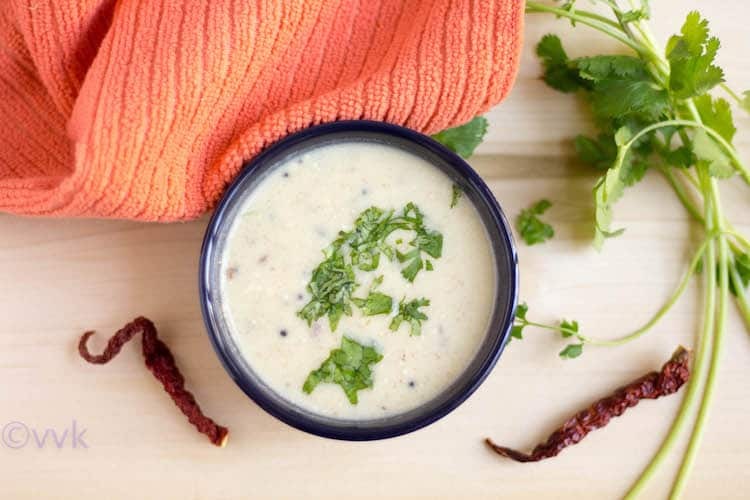 A bowl of rice with this delicious kadhi sure will satiate your tummy and your taste buds. 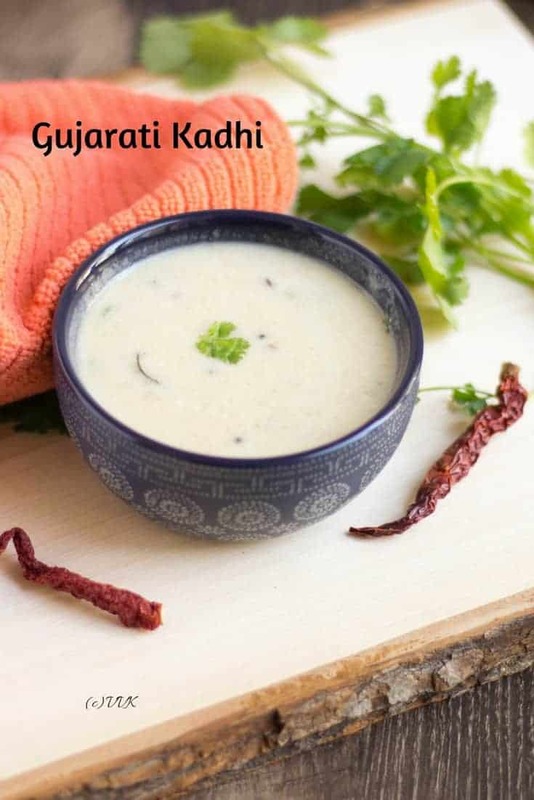 Without any further ado, here is simple Gujarati Kadhi recipe. Besan / ChickPea Flour – 2 heaped tbsps. Slit the green chili into two or chop them into small pieces. Chop the ginger and cilantro and set aside the other required ingredients. Mix the yogurt, besan with 1 cup of water and whisk well. You can use a hand blender to mix them all together. Make sure there aren’t any lumps. Once the ghee is hot, add the mustard seeds, cumin seeds, methi seeds and hing. 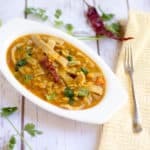 As they start to splutter, add the cloves, cinnamon stick, curry leaves, green chili and ginger and sauté for a minute. Then reduce the heat to low and add the yogurt-besan mix. Add salt, sugar and the remaining 1 cup of water. Mix it well and let it simmer for about 7 to 10 minutes over low heat. Then, add the chopped cilantro and mix well. Turn off the heat, and that’s it. Kadhi is ready. 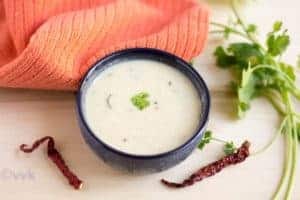 Serve hot with roti or rice. 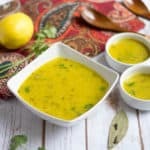 Usually, turmeric is not added for this Gujarati kadhi, but given the health benefits, a pinch can be included. 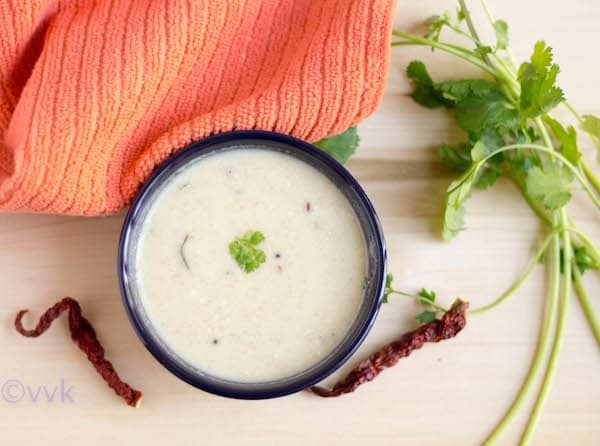 I love the flavor of cinnamon and cloves, and it adds a nice flavor to this kadhi. But I have tried without them also. 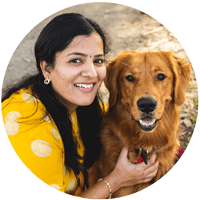 Tempering can be done with oil instead of ghee. Depending upon the sourness of yogurt, adjust the salt, sugar and green chili. I used Greek yogurt it was not sour at all. You can add veggies like we do in mor Kuzhambu and make it healthier. 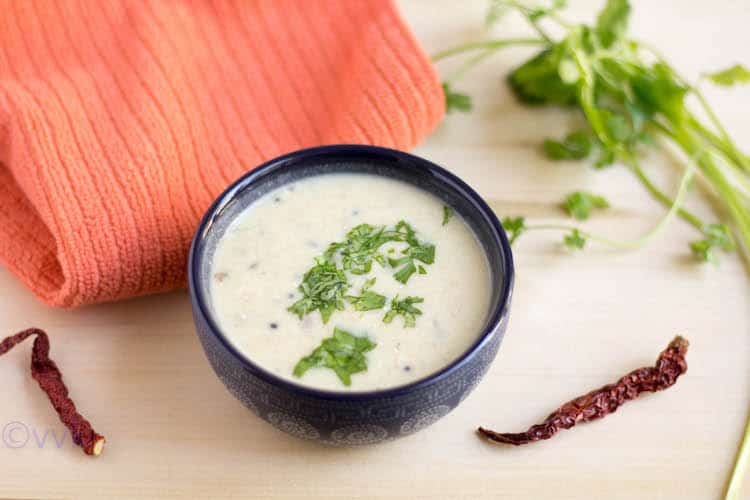 Gujarati Kadhi - This signature recipe of Gujarati cuisine is mild and lighter gravy prepared with yogurt and besan mix. Besan / ChickPea Flour - 2 heaped tbsps. 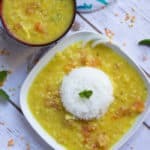 I love Gujju food and we make this Kadhi often with Khichdi. I don’t know y my amma call this Bombay chutney.. yummy?